Were you bummed that Apple didn’t announce and release an iPad Air 3 this year? So were we, but it makes sense. People aren’t upgrading their tablets as frequently as they are other devices, such as smartphones, and there’s new data that shows one of Apple’s older iPads remains the most popular model. 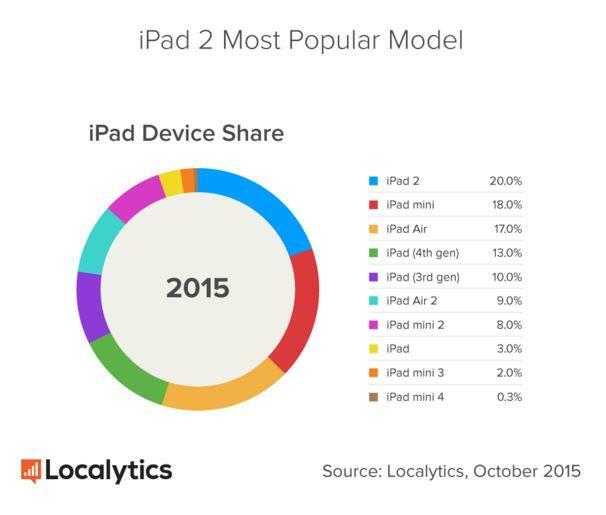 According to Localytics, the iPad 2, first released in 2011, remains the most popular iPad model. 20 percent of all iPad owners have the iPad 2, the firm said, while the second most popular version is the original iPad mini (18 percent). Just 9 percent of consumers own the iPad Air 2, and only 2.3 percent own the iPad mini 3 or the iPad mini 4. Those figures show that the large majority of consumers weren’t upgrading to the newer iPads just because they had nicer screen and more powerful processors, and it shows why sales have declined year on year. Localytics explains why the market is different for tablets versus smartphones. “iPads have a longer lifecycle due to the lack of a two-year contract that iPhones require,” the research company said. 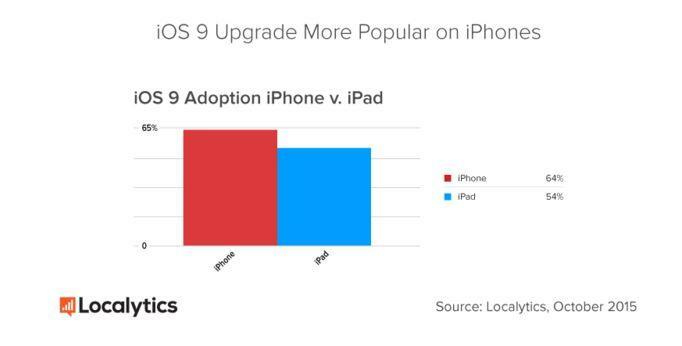 Additionally, when new models are released the prices of the older models drop, making those models more attractive to buyers.” Localytics thinks that some consumers might actually want to upgrade to newer iPads due to the side-by-side multitasking feature introduced in iOS 9, which isn’t available for older iPads. Are you still hanging onto an older iPad?